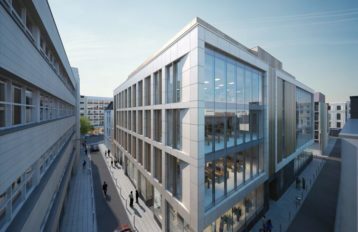 The largest office development to be built outside London, 110 Queen Street is a mixed-use development offering retail and office space totaling 224,000ft² encased within a concave façade of curtain wall glazing. 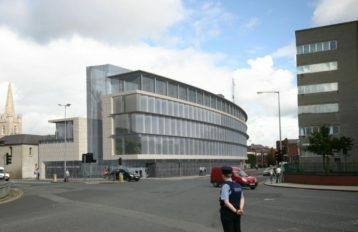 The Grade A office building is an eight-story structure situated opposite to the Gallery of Modern Art, and is immediately recognisable for its curved smoked aesthetic façade. The Art Deco-inspired design fits sympathetically into its historic surroundings, while creating a modern, practical space. 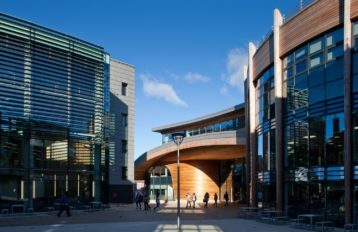 At a pedestrian and ground floor level the softer building form enhances pedestrian flow and the quality of the new urban realm to the forecourt and perimeter of the building. 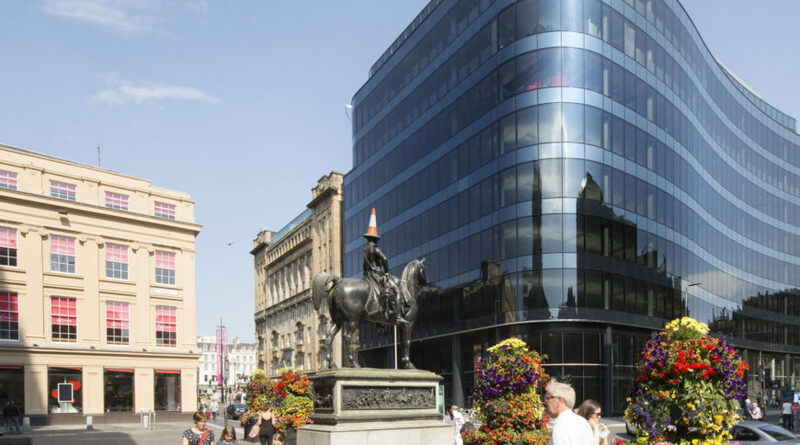 The upper portion of the rear elevation, which is prominent from George Square, comprises a wall of dark grey metal panels, ostensibly to visually marry with the lead roofing of Lomond House. 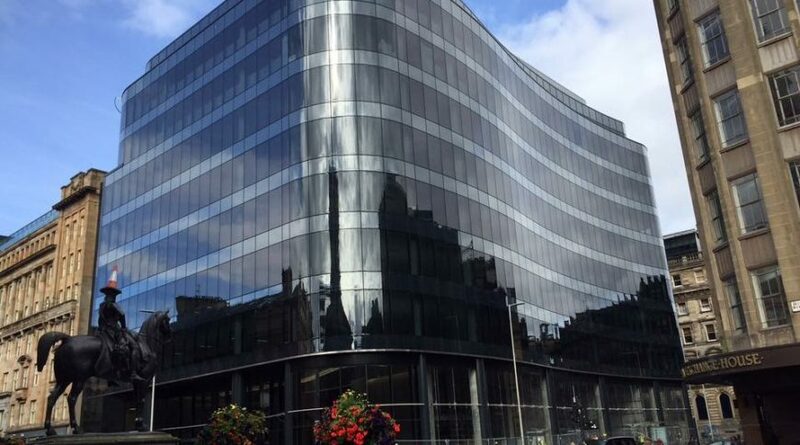 Architectural Excellence Award (Commercial Buildings) Scottish Property Awards 2016.